Tanya Stephens, (born 2 July 1973, St. Mary, Jamaica, as Vivienne Tanya Stephenson) is an influential reggae artist who emerged in the late 1990s. Currently Tanya is putting finishing touches to her Guilty Album, set to be released digitally December 20th 2013. Stephens is most known for her hits “Yuh Nuh Ready Fi Dis Yet” — the single was later featured on the Reggae Gold 1997 compilation album — and “It’s a Pity”, which achieved Tanya international recognition. Stephens was born in 1973 and grew up in St. Mary and St. Ann, attending Zion Hill and Ocho Rios primary schools and St Mary High. She has 3 brothers and 3 sisters (1 sister deceased). Tanya Stephens began recording in the mid-1990s for producers such as Dave Kelly and Philip “Fatis” Burrell. 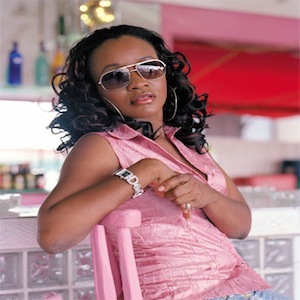 Her 1996 single “Yuh Nuh Ready Fi Dis Yet”, produced by Kelly, brought her to the attention of the Jamaican public, and she had further success with singles such as “Draw fi Mi Finger”, “Freaky Type”, and “Cry and Bawl”. Her debut,Big Things a Gwaan, was released in 1994 (featuring Yami Bolo on a cover version of Suzanne Vega’s “Tom’s Diner” and Prezident Brown on a remix of the title track), and second album Too Hype followed in 1997. Tanya Stephens moved to Sweden, where she signed a record deal with Warner Music Sweden and recorded the 2001 pop album Sintoxicated. After returning to Jamaica she released the critically acclaimed Gangsta Blues album in 2004. Her latest album Infallible, was released in 2010, initially given free with the Jamaican base German magazine Riddim then made available for free download for more than a year. Her early material was lyrically typical of dancehall and drew comparisons with Lady Saw, along with whom she was proclaimed “the top female artists in Jamaica” in 1998 by the Washington Post, but later developed beyond what she called “the same old four topics” to ‘reality’ themes and even lyrics critical of homophobia. Social scientist Clinton Hutton said of her: “She is very intuitively intelligent and deftly tackles relevant social issues”. Her song “Still Alive” deals with discrimination against people with HIV, and it was used in a television campaign dealing with the issue.